So here we are with Christmas almost upon us and the New Year just around the corner! As many of us finalise preparations for upcoming holiday celebrations, here at Frilly and Funkie it's the last challenge winners post of 2016. Thank you so much to everyone who took the time to enter our 'Home for the Holidays' challenge. The Design Team were utterly spoiled for choice with the number and standard of entries, and we had a hard time picking the winners. This time our overall winner is #5 Elizabeth (The Crafty Robin). 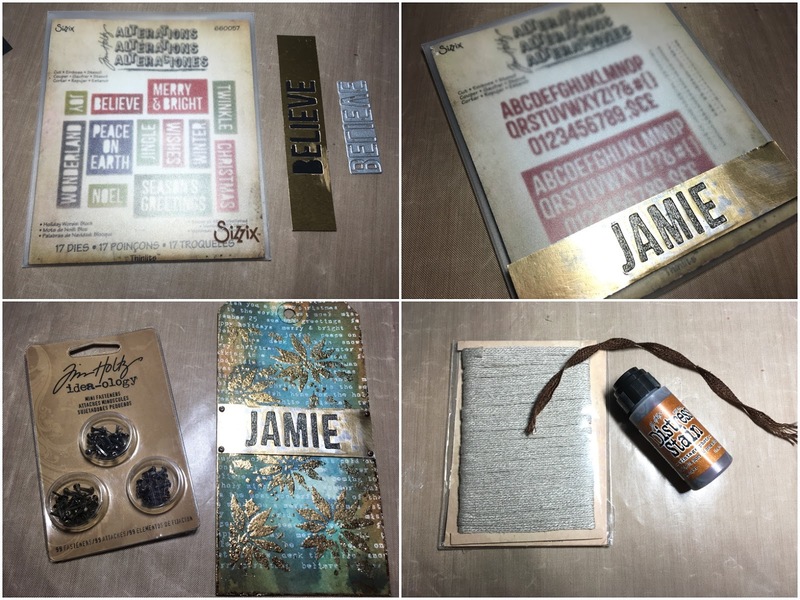 We adored this magical mini album with sparkling stencilling over the paper covers and addition of so many different trims. 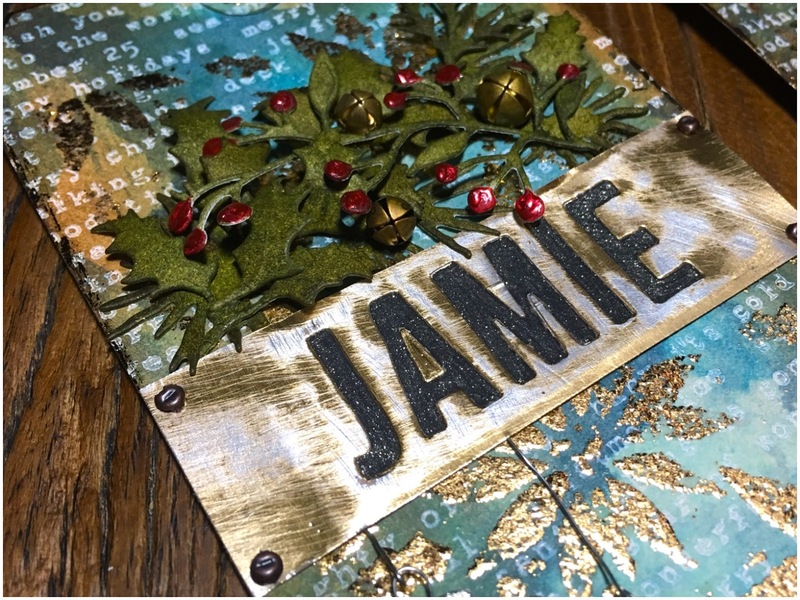 Congratulations Elizabeth on being our favourite for the 'Home for the Holidays' challenge and winning the opportunity to be a Guest Designer here at Frilly and Funkie for a future challenge. And now for the final three winners of our Frilly and Funkie Top 3 Badges in 2016; this week's choices, in numerical order, are... #8 Liz, #19 Rupa, and #26 Julie!!! Please email Linda at thefunkiejunkie@gmail.com for the codes for the Top 3 badges so that you can display them proudly on your blog. And finally Random.org has chosen a lucky winner for the $25 gift certificate to The Funkie Junkie Boutique. Our congratulations this time go to #16 Jenny L! A huge thanks from the Frilly and Funkie team to everyone who took part in this challenge and congratulations again to our winners. Please email Linda at thefunkiejunkie@gmail.com for the codes for the winner's badge and to give us your email address for the Guest Designer details (Elizabeth) for the Top 3 badges (Liz, Rupa and Julie) and for the gift certificate details (Jenny). So that's it for 2016 here at Frilly and Funkie! Thank you to everyone for joining us and sharing your creativity throughout the year. You'll be pleased to know we will be back on January 4th 2017 for the start of a brand new challenge. Hello and welcome, Zoe here. I am delighted to be your host for this final Saturday Step by Step of the year with Frilly and Funkie. 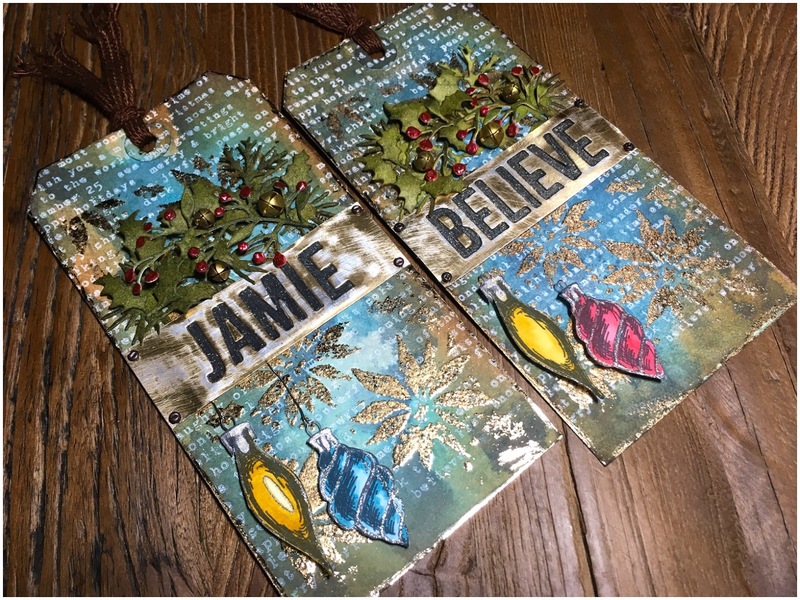 I created a gift tag for the current "Home for the Holidays" challenge and have an additional tag to share with some personalisation using the Alphanumeric Thinlits dies by Tim Holtz. Step 1: Put a few drops of Picket Fence Distress Paint onto a non-stick craft mat and pick up with a brayer. 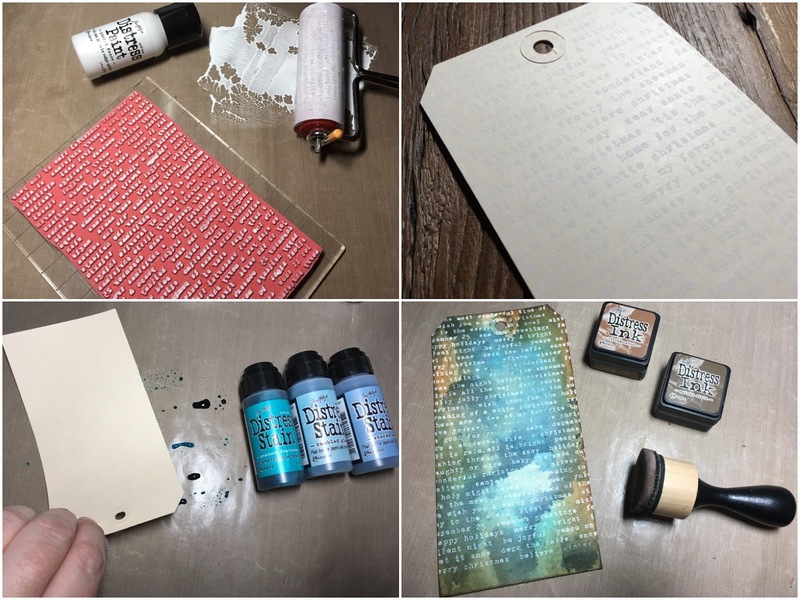 Roll the brayer over a background stamp until covered. Step 2: Stamp onto a manila tag and dry. Step 3: Swipe different colour distress stains onto a non-stick craft mat, spritz the tag with water and drag through the Distress Stain. Dry with a heat tool. 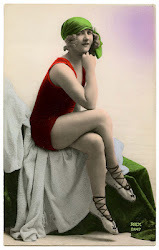 Step 4: Blend in Vintage Photo and edge with Walnut Stain Distress Inks. 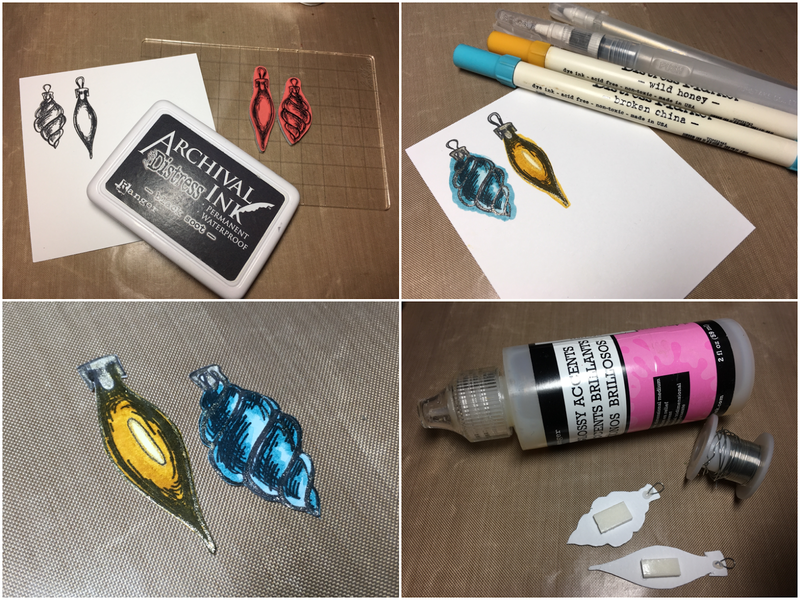 Step 5: Lay a mini stencil over the tag, secure with tape and tap clear embossing ink through the stencil. 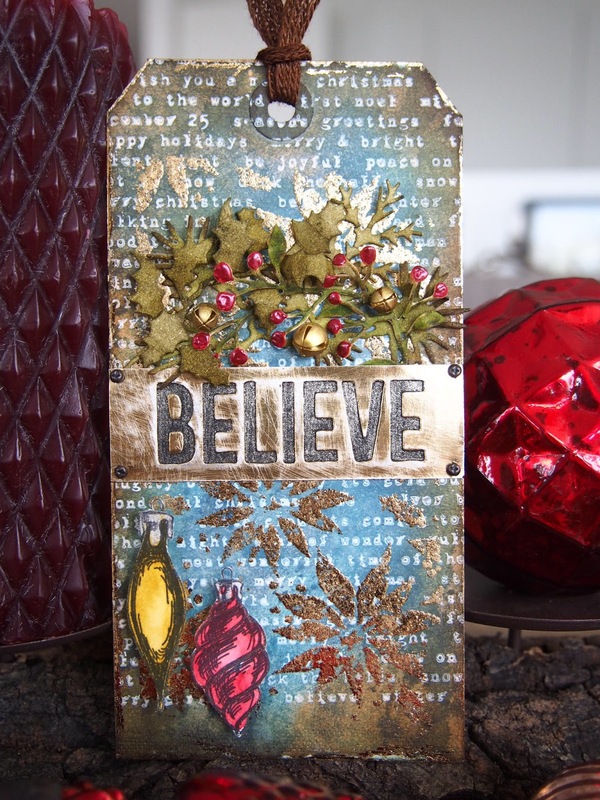 Step 6: Remove the stencil, cover with Sticky Embossing Powder, tap of excess and melt with a heat tool. 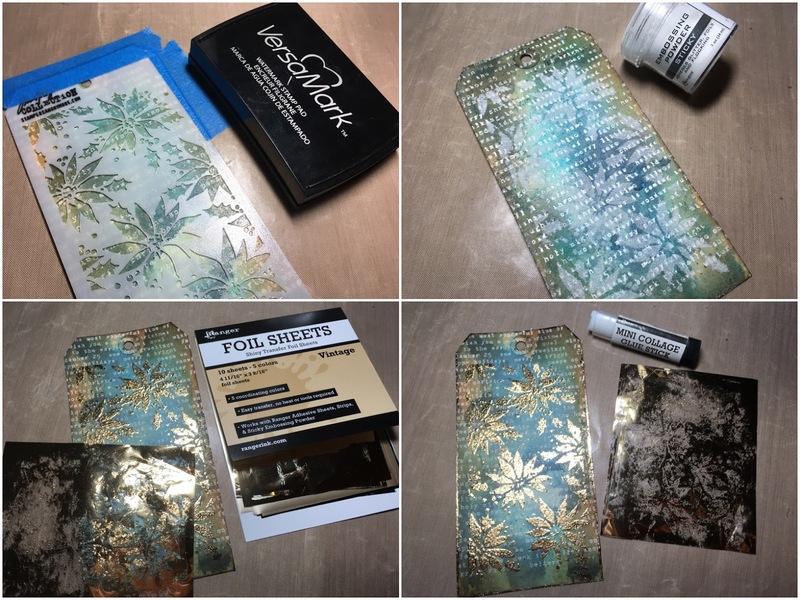 Step 7: Rub foil sheets over the sticky embossing powder. Step 8: Run a Mini Collage Glue Stick along the edges of the tag and immediately apply foil sheets. Step 9: Die cut "Believe" from metallic kraft core and underlay with black card. Step 10: For personalisation of your gift tag, use the Alphanumeric Thinlits dies to create your own wordband. This one's for my brother. Step 11: Adhere the wordband to the center of the tag and attach mini fasteners to the corners. Colour the center of the word with a glitter pen. Step 12: Stain linen ribbon with Vintage Photo Distress Stain. 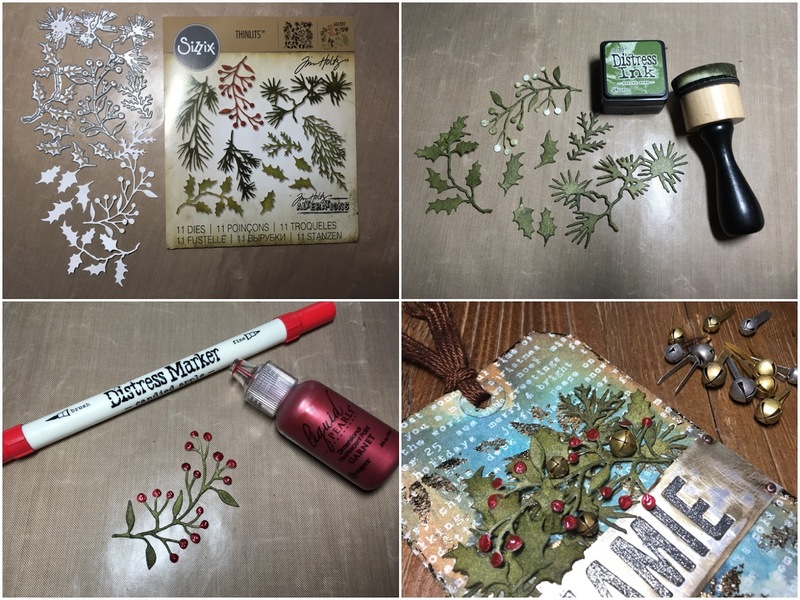 Step 13: Die cut Distress Watercolor Cardstock with the Mini Holiday Greens Thinlits set. Step 14: Blend in Forest Moss Distress Ink and dry with a heat tool. Step 15: Add Candied Apple Distress Marker to the berries of the Holiday Greens and once dry, cover with Garnet Liquid Pearls. Step 16: Adhere the Holiday Greens above the wordband and add Jingle Brads. 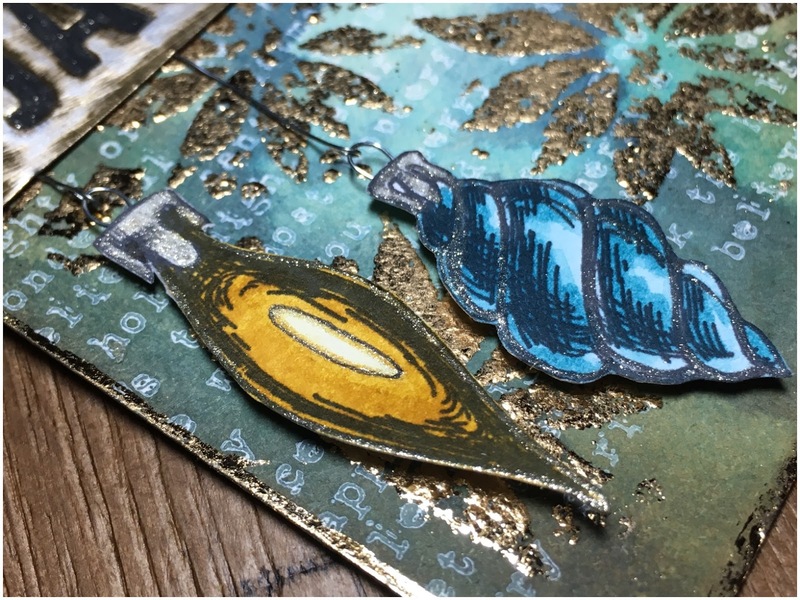 Step 17: Stamp baubles from the Tim Holtz Holiday Drawing stamp set onto Distress Watercolor Cardstock with Black Soot Archival Ink. Step 18: Colour with Wild Honey and Broken China Distress Markers, blend with a water brush and add glitter with a pen. Step 19: Fussy cut the baubles removing the loop at the top. Step 20: Turn the fussy cut images over, add 3D tape and a silver wire loop with a blob of Glossy Accents. Step 21: Attach a strip of wire through the wire loop and tuck under the wordband. Stick the fussy cut baubles into place with the 3D foam. I hope you have enjoyed the step by step. Don' forget to take a look at the current "Home for the Holidays" challenge and have a great weekend. Friday Focus on Little Birdie Flowers! Hello and welcome! I hope you're having an amazing day. It's Nancy here, and I have the pleasure of sharing Little Birdie Crafts fabulous paper flowers. In honor of our Friday Focus, all Little Birdie Crafts Flowers will be offered at an additional 15% off of the already discounted price for the next two weeks at The Funkie Junkie Boutique! I absolutely adore these lovely flowers. They even have the sweetest name - Little Birdie! And do I ever love birds. I feed them, water them, and watch their adorable habits each day at my garden feeders. 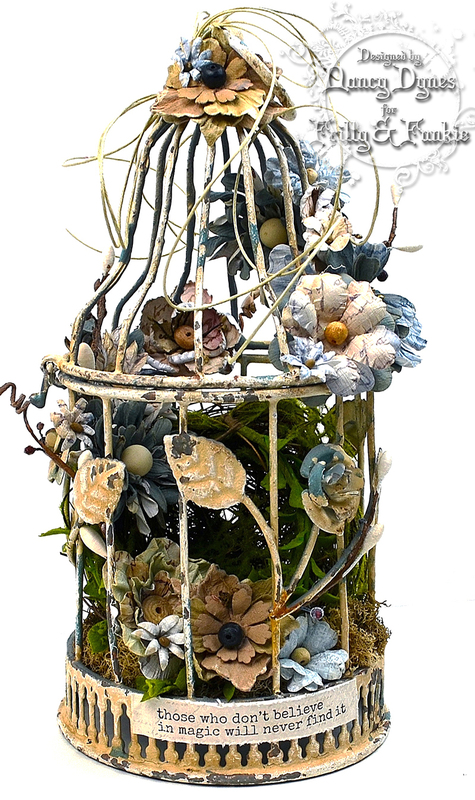 In honor of Little Birdie flowers I'm presenting this friendly retreat for feathered creatures - a woodsy altered birdcage overflowing with the floral delights of Little Birdie Crafts. 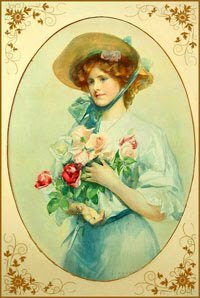 The flowers are the showstoppers here. 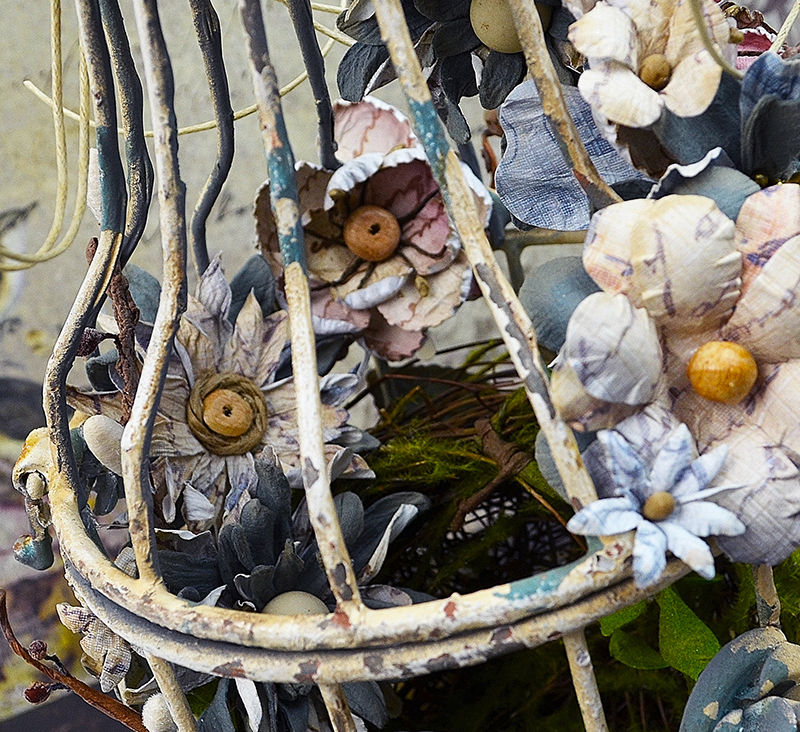 I thought to include a step-by-step for this altered metal bird cage, but my process didn't go exactly as planned. At one point I thought I ruined it. In the end it didn't have the makings for a concise tutorial, but I've learned from my mistakes and I think it will go better next time. The center of this secret garden holds a bird nest situated on a cool bed of moss. 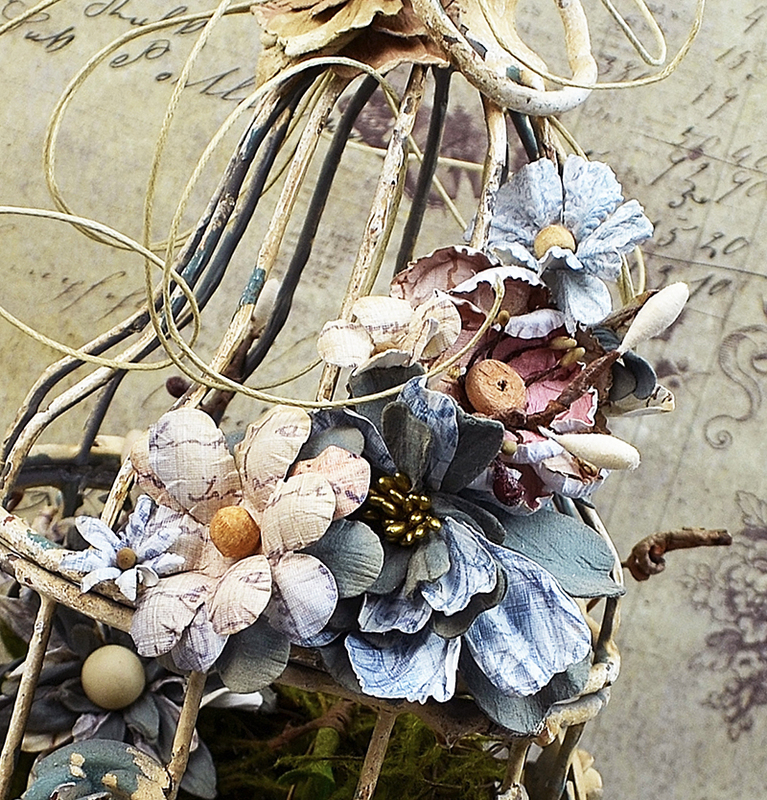 Little Birdie flowers cascade around and about the nest to create a sheltered hideaway. 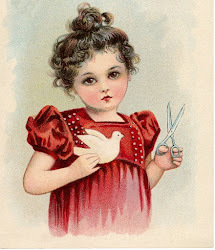 The sentiment is from an Impression Obsession set from Linda's shop. I feel that magic lives in every garden, even those created from paper. 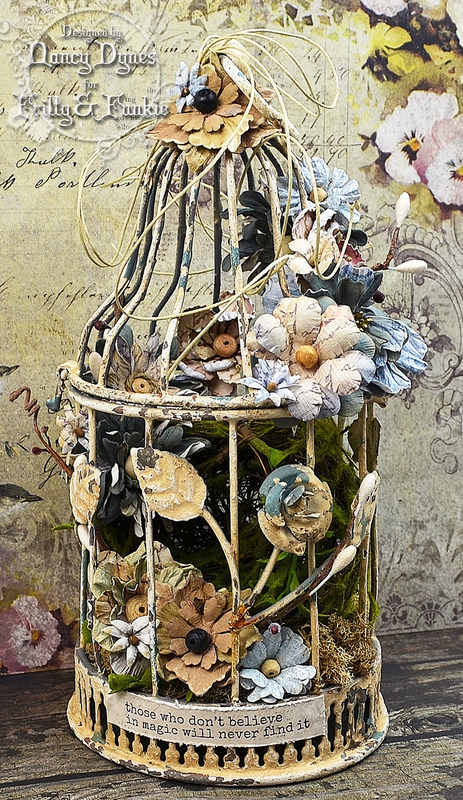 Little Birdie flowers in blue, gray, and pink of all shapes and sizes climb to the top of the distressed bird cage. Below is a close up view of some of the interior flowers. The tippy top is adorned with additional flowers and a twine bow. Thank you so much for taking time out of your busy day to visit! 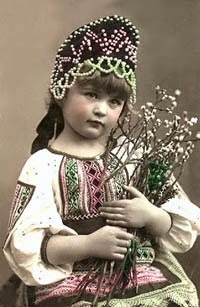 I send wishes for health, happiness, and many crafty pursuits. Don't forget to stop by The Funkie Junkie Boutique to pick up some Little Birdie Crafts Flowers while they're at this incredible bargain price. They also make great gifts for you're crafty friends! Ranger Inkssentials Wonder Tape - 1/2"